Home Big Opinions The Sunwolves. An Exercise in Futility? 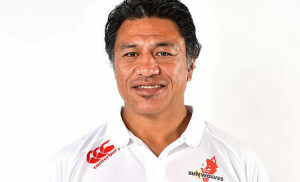 What exactly are SANZAAR trying to achieve with the Sunwolves? We were told that SANZAAR wanted to promote and support the development of rugby in Japan. We were told that they wanted to gain a foothold in the lucrative Asian market. Super Rugby would provide a development pathway for Japanese players. In the first week of this year’s competition, 13 of the Sunwolves’ 23-man match-day squad were not Japanese. A week later, in the 37-17 loss to the Rebels, only four Japanese-born and one player from South Korea were named in the starting team. When they played the Sharks in Durban a weekend ago, 8 of the starting XV were non-Japanese, and 12 of the match-day 23. What is the point in having a team based in Japan if the vast majority of the contracted players are not from Japan? This is not promoting development in Japanese rugby! This is not development pathway for Japanese-born players. This team has become the bonus-point banker for every other team in the competition. Sure, the Sunwolves will win a game every now and then, this is the nature of rugby, and the perverse nature of the weirdly structured fixture list that SANZAAR throws at us every year. Overall, however, the Sunwolves’ results remain somewhere below woeful. Their team selection and coaching track record is similarly woeful. I have often pointed out the sweeping changes made to the match-day team in my weekly previews to their games. The Sunwolves have gained the reputation, perhaps even notoriety, for making sweeping changes from week to week. We have seen as many as 12 changes to the run-on team from one week to the next; the average is around 7 starting XV changes per week. There is no, and never has been, continuity of selection, and thus no opportunity for the team to build any kind of cohesive unity on the field of play. Team units, such as the loose trio, front rows, back three, midfield and the like get zero opportunity to develop mutual understanding and to gel into a real playing unit. Three coaches in three years does not suggest any continuity at the management level either. Mark Hammett, Filo Tiatia, and now Jamie Joseph. Right from the start, the coaching issues surfaced. Eddie Jones was a major promotor for including a Japanese team in Super Rugby. 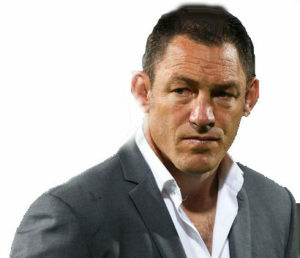 He promptly bailed out of the job on the eve of their launch, heading to the Stormers, for just two weeks, and then off to England. The Sunwolves have not secured a home field or facilities that are a permanent home base. They have to borrow practice facilities all over the place. They also do not have a proper home-ground. They play some games in Tokyo, and some in Singapore. The established Japanese Top League teams, such as Panasonic, Toshiba, Suntory, Toyota, Honda and the like have absolutely no interest in seeing the Sunwolves flourish. They refuse to release any of their contracted players to the Sunwolves, despite the Sunwolves playing in what is essentially the off-season in Japan. These club teams, sponsored by the major corporate brands whose names they bear, control Japan’s rugby wealth, leaving the Sunwolves to feed off scraps from their tables..
A team based in Japan was forced to play a double round of fixtures against teams from South Africa and Argentina. The South Africans and Argentineans were also severely disadvantaged by having even more pointless traveling and time zone jumping foist upon them. In these circumstances, the Sunwolves never stood a chance. This year, the Sunwolves find themselves playing as Australians. It might help a little, not having to travel over to South Africa quite as often, but they are still on a hiding to nothing. Given the international make-up of the Sunwolves squad, those of the Force, the Cheetahs, and the Kings who were kicked out of Super Rugby, must be questioning the logic behind protecting Super Rugby’s weakest member. The hard reality is that this is supposed to be a Japanese team, not one merely masquerading as such. This was never meant to be a team of Foreign Legionnaires.. It was supposed to be a Japanese outfit! None of the published criteria for the inclusion of the Sunwolves in Super Rugby are being met, and there seems to be little chance that they will ever be met. Why is SANZAAR persisting with this little experiment? The Super Rugby competition is already struggling to attract fans and TV viewers, the Goose that Lays Golden Eggs is on life support and gagging from too much blandness and too many fixtures in an overly long season. Time for a re-think SANZAAR. Next articleWhere Is Average Joe? Agree Bill. I am not clear on the entire structure, but I know that the players work for a corporation such as Sharp or Panasonic. I cannot believe that this falls in line with the structures as outlined/defined by World Rugby. It is my opinion that the Sunwolves should be removed from Japan to start with and based in Singapore. In addition, it would be far more constructive to have a combined South Sea Islands team in the Super Rugby mix. The Islanders have been ignored, and it is hurting their rugby, as their youngsters flood over to Oz and New Zealand, some to England, and a host of them, especially young Fijians, to France. Japan does not need Super Rugby, they have a thriving “corporate” league, and attract a host of overseas stars eager to learn Japanese and earn some yen. Super Rugby also does not need Japan. It is an ill-fitting mix.